French-bred horse who has been nicknamed Jump racing’s Frankel after some brilliant performances. He was bought in a ‘job lot’ of 21 horses from the same vendor for €300,000 in France by Raymond Mould, whose wife Caroline owns the chaser, through bloodstock agent David Minton. He was a high- class novice hurdler in 2011 and finished third in the Grade One William Supreme Novices’ Hurdle at The Festival. Unbeaten in eight phenomenal starts over fences since, with five Grade One victories to his name. 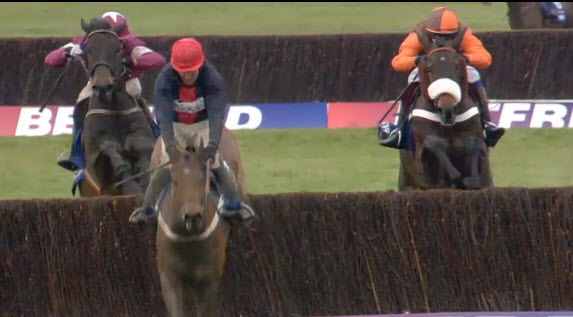 Last season was headlined by spectacular success in the Racing Post Arkle Chase at The Festival. He returned this season to another impressive victory in the Grade One Sportingbet Tingle Creek Chase at Sandown Park, won the rescheduled Grade One Victor Chandler Chase over an extended two miles at Cheltenham easily by 14 lengths on January 26 and put up another brilliant performance in the Sportingbet Queen Mother Champion Chase on Wednesday, March 13, 2013 at The Festival, winning effortlessly by 19 lengths from Sizing Europe. By winning at the odds of 1/4, Sprinter Sacre became the shortest-priced winner at The Festival since Arkle took the 1966 Cheltenham Gold Cup at 1/10. He is now one of the best chasers there has ever been. His official rating is now 188, 2lb behind the highest-rated horse in the history of the Anglo-Irish Jump Classifications, Kauto Star, while Timeform makes him the third best chaser on 192p in the last 65 years. Based at Wormington in the Cotswolds, Caroline is the wife of longstanding owner Raymond Mould. A revered figure in the property world, Mould founded and sold on both Arlington Securities and Pillar Property. His latest venture, London & Stamford, recently merged with another firm to become London Metric after the now 72-year-old decided to edge towards retirement. He is a former chairman of racecourse group Arena Leisure and once had a share in the Hollow Bottom pub at Guiting Power near Cheltenham. Valued at £60 million when last appeared in Sunday Times Rich List in 2009. He owned the 2002 Grand National winner Bindaree, while his late wife Jenny jointly-owned 1988 Cheltenham Gold Cup winner Charter Party with Mould’s business partner Colin Smith. Raymond Mould also owned 1993 King George VI Chase winner Barton Bank. Although better known for his jumping horses, he enjoyed a Royal Ascot success when Ransom Note won the 2010 Britannia Handicap, trained by Barry Hills. Flat-bred Pure Science, a 160,000gns yearling by Galileo out of Rebelline, stayed on to be sixth in the Weatherbys Champion Bumper at The 2013 Festival. The all-time leading trainer at the Cheltenham Festival with 50 successes after gaining a record seven wins last year and four this year. Twice the winner of the Jump trainers’ championships, in 1985/86 and 1986/87, he has sent out approaching 2,500 winners and is hot favourite to capture another trainers’ title this season. Born in Lambeth, London, on December 10, 1950, he is the son of financier and amateur jockey John Henderson MBE, who founded the Racecourse Holdings Trust, the forerunner for Jockey Club Racecourses. Nicky, who had Field Marshal Montgomery as a godfather, was educated at Eton and the Royal Agricultural College. He worked for stockbrokers Cazenove in London and Australia, where he gained experience riding work at Randwick, before devoting himself full-time to racing. First made his name in Britain as an amateur rider, finishing runner-up three times in the non-professional championship. His main wins as a jockey came on Happy Warrior in the 1977 Fox Hunters Chase at Aintree and on Acquaint in Sandown’s Imperial Cup in the same year. Recorded his 78th and final win on Rolls Rambler in the Horse & Hound Cup at Stratford in June, 1978. He became assistant trainer to Fred Winter in 1974 and received his own training licence in July, 1978, taking over from Roger Charlton at Windsor House Stables in Lambourn. Moved to Seven Barrows, to the north of the village, in 1992. First winner as a trainer was Dukery at Uttoxeter, October 14, 1978. He has won five Stan James Champion Hurdles, two Betfred Cheltenham Gold Cups (2011 Long Run, 2013 Bob’s Worth), three Sportingbet Queen Mother Champion Chase (1992 Remittance Man, 2012 Finian’s Rainbow, 2013 Sprinter Sacre) and two Ladbrokes World Hurdle (1989 Rustle, 2000 Bacchanal). Barry Geraghty (born September 16, 1979) is one of six children from a “horse-mad” family that hails from Drumree in Co Meath. His father ‘Tucker’ was a useful amateur and trains a few horses in addition to his riding school and livery yard, while his now US-based brother Ross, who won the 2002 Irish National on The Bunny Boiler, and sister Jill, an amateur, are both jockeys. Like so many Irish jockeys, Geraghty has a background in pony racing, riding his last winner in that sphere in September, 1996, before becoming apprenticed to Noel Meade that month and having his first ride in October, 1996. He rode his first winner aboard Stagalier at Down Royal on January 29, 1997. It was for trainer Jessica Harrington that he first sprang to prominence, partnering her 1998 Midlands National winner Miss Orchestra. Geraghty will forever be associated with the great Moscow Flyer who provided him with his first Cheltenham Festival victory in the 2002 Arkle Chase and went on to add the Queen Mother Champion Chase in 2003 and 2005, as well as a host of other championship races including the Grade One John Smith’s Melling Chase at Aintree in 2004 and 2005. He crowned the 2002/03 season with victory in the John Smith’s Grand National aboard Monty’s Pass, something which contributed to him being voted RTE Sports Personality of the year by Irish television viewers. He captured the 2005 Cheltenham Gold Cup on the Tom Taaffe-trained Kicking King the day after Moscow Flyer’s emotional second Queen Mother Champion Chase triumph. In total, he has enjoyed 28 victories at the Cheltenham Festival after three successes this year. He was top rider at The Festival in both 2003 (5) and 2012 (5). Geraghty teamed up with Lambourn trainer Nicky Henderson at the start of the 2008/09 season, splitting his time between Ireland and Britain. Geraghty’s association with Henderson has yielded a Champion Hurdle victory in 2009 with Punjabi, two Sportingbet Queen Mother Champion Chase wins with Finian’s Rainbow (2012) and Sprinter Sacre (2013) and a Betfred Cheltenham Gold Cup with Bobs Worth (2013). Bobs Worth was bred by Fermanagh-based Lois Eadie who sold him as a foal to Peter Maloney at Rathmore Stud. 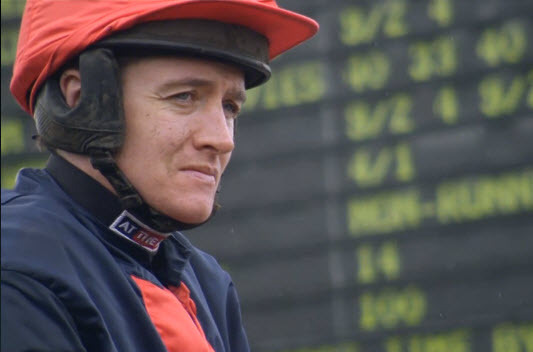 Bobs Worth’s jockey Barry Geraghty bought the son of Bob Back for 16,500 euros as a yearling at Tattersalls Ireland in November, 2006, but, having failed to resell him as a three-year-old at Goffs in June, 2008, got £20,000 for him the following May at Doncaster. 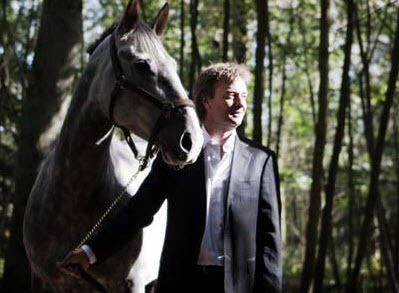 David Minton of Highflyer Bloodstock bought the then four-year-old to join Nicky Henderson. Geraghty reflected: “We were a bit disappointed and had hoped for more. It was just the economic times we were in. Anyway, it has worked out very well for me in the end, I just had to wait a bit to get my bonus now from riding him!” The gelding made his debut in a National Hunt Flat race at Kempton in February, 2010 and finished second. He progressed to win a similar race at the same course on April 9. The following season, he won all four of his novice hurdles, including when beating future Stan James Champion Hurdle victor Rock On Ruby at Cheltenham in January, 2011. 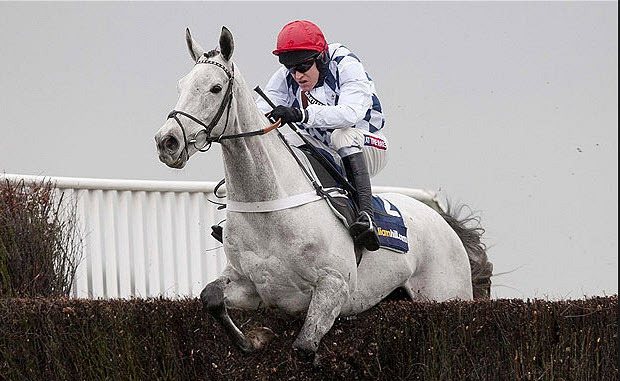 He is unbeaten in five starts at Cheltenham and has enjoyed three successes at The Festival – in the 2011 Grade One Albert Bartlett Novices’ Hurdle, the 2012 Grade One RSA Chase and the 2013 Betfred Cheltenham Gold Cup. 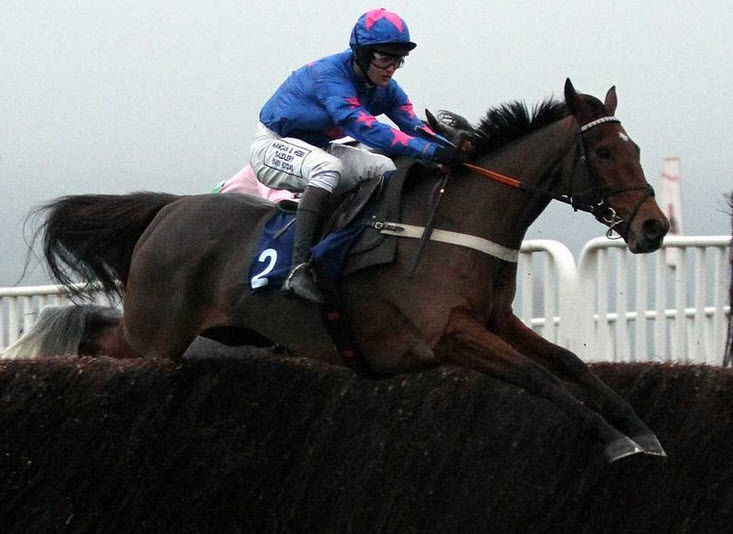 There were two defeats as a novice chaser but he has been victorious in his other four chases, including his debut success over fences at Newbury in November, 2011 when he narrowly defeated Cue Card, who is a now a dual winner at The Festival. He annexed the Hennessy Cognac Gold Cup on his seasonal reappearance at Newbury on December 1, when he carried 11st 6lb to beat Tidal Bay by three and a quarter lengths before reappearing in the Betfred Cheltenham Gold Cup on March 15, when he stayed on strongly to beat Sir Des Champs and stable companion Long Run by seven lengths and two and three quarter lengths. He was the first horse since Flyingbolt, between 1964 and 1966, to win three different races at The Festival in consecutive years. Berkshire-based Malcolm Kimmins (born February 12, 1937) heads the five-strong partnership. He has owned horses for 50 years, including with legendary trainer Fulke Walwyn. He is a Jockey Club member, former trustee of Ascot racecourse, an ex-director of Newbury Racecourse, former chairman of wine merchants Corney & Barrow and drinks company William Sanderson & Son. Although bred in Ireland, Hurricane Fly began his racing career in France after selling for 65,000 euros as a yearling at Goffs to trainer Jean-Luc Pelletan. The son of Montjeu proved a classy Flat performer, having been placed on three starts as a two-year-old before stepping up a level the following year. He won his first two outings of his three-year-old campaign, the second of them when beating subsequent Group One winner Literato in a Saint-Cloud Listed race and went on to finish fourth to French Derby winner Lawman in a Group Three at Chantilly. He finished last on his final two Flat starts but had been schooled over hurdles by Pelletan since the age of two and was bought in late 2008 by bloodstock agent Richard Hobson to send to Willie Mullins. 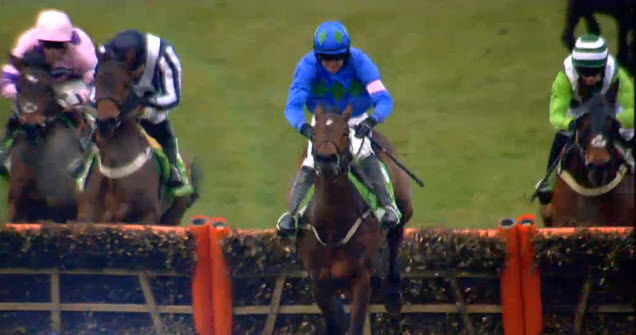 Hurricane Fly has been a revelation over hurdles since winning on his debut at Punchestown in May, 2008. He went to Auteuil to win a Grade Three Hurdle later that month and won the first of 15 Grade One victories to date in the Royal Bond Novice Hurdle at Fairyhouse in November, 2008. A 10-length success in Leopardstown’s Future Champion Novice Hurdle was followed by a seven-length victory in the Evening Herald Champion Novice Hurdle at the 2009 Punchestown Festival. After being beaten on his debut in the 2009/10 season, he had only one more start when returning from a five-month lay-off to win the Rabobank Champion Hurdle at the 2010 Punchestown Festival. The 2010/11 season brought victories in the Hatton’s Grace Hurdle at Fairyhouse and both the Festival Hurdle and Irish Champion Hurdle at Leopardstown before he travelled over to Britain for the first time to contest the Stan James Champion Hurdle at the 2011 Festival. He effortlessly saw off Peddlers Cross and bowed out for the season in front of a home crowd in the Rabobank Champion Hurdle when justifying odds-on favouritism with a five-length defeat of stablemate Thousand Stars. He beat Oscars Well by six and a half lengths in the 2012 Irish Champion Hurdle at Leopardstown before finishing third, when sent off 4/6 favourite, in last season’s Stan James Champion Hurdle. He rounded off the season when seeing off three rivals in the Rabobank Champion Hurdle at Punchestown. He is four from four this season, winning the Morgiana Hurdle at Punchestown in November, the Istabraq Festival Hurdle at Leopardstown in December and another Irish Champion Hurdle in January. He won his second Stan James Champion Hurdle at Cheltenham in good style on Tuesday, March 12, 2013, becoming only the second horses to regain his crown in the two- mile hurdling championship race – Comedy Of Errors was the first to do this in 1975. Belfast-based George Creighton is retired from the construction industry and his whole family have enjoyed following Hurricane Fly’s progress with his grandson Lewis at Cheltenham for his 2011 Stan James Champion Hurdle success. Creighton’s son Andrew is a successful property developer in Northern Ireland, often in partnership with Frank Boyd, whose wife Rose is Hurricane Fly’s co-owner. The Boyds are based at the Rademon estate at Crossgar in County Down. 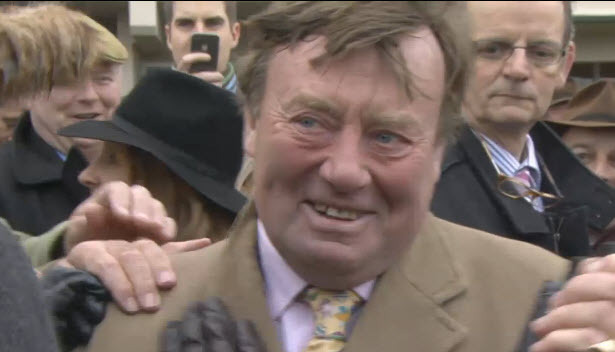 Frank Boyd described the 2011 Stan James Champion Hurdle success as “the best day of my life”. Rose Boyd breeds both thoroughbreds and hunters at home, where they also stage a cross-country event, and she is joint-master of the local Killultagh Hunt. Away from Hurricane Fly, the best horse owned by the Creightons and Boyds has been the late C’est Ca, a useful hurdler and chaser with Mullins. Andrew Creighton was valued at £67 million in the 2012 Sunday Times Rich List and Frank Boyd at £60 million. The pair are partners in Belfast-based William Ewart Properties. 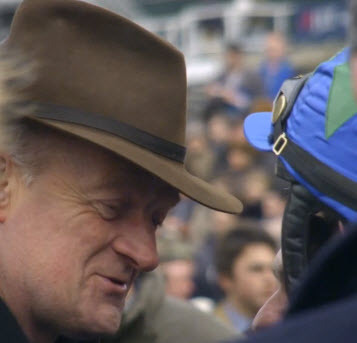 Born on September 15, 1956, Willie Mullins was six-time amateur champion rider in Ireland and both rode and trained Wither Or Which to win the 1996 Weatherbys Champion Bumper at the Cheltenham Festival. He hails from one of Ireland’s most famous racing families, as son of the late Paddy Mullins, the outstanding all-round trainer whose most famous star was Dawn Run, winner of the 1984 Champion Hurdle and 1986 Cheltenham Gold Cup. Wither Or Which was one of eight Weatherbys Champion Bumper winners trained by Willie Mullins (also Florida Pearl 1997, Alexander Banquet 1998, Joe Cullen 2000, Missed That 2005, Cousin Vinny 2008, Champagne Fever 2012, Briar Hill 2013). Mullins saddled Rule Supreme to win the RSA Chase at the 2004 Cheltenham Festival and sent out the same horse to win the Irish Hennessy in 2005. His best chaser to date has been Florida Pearl, who was placed in two Cheltenham Gold Cups, won the 1998 RSA Chase, the 1999, 2000, 2001 and 2004 Irish Hennessy Cognac Gold Cups in Ireland as well as the 2001 King George VI Chase and the 2002 totesport Bowl at Aintree. In 2011, he trained the brilliant Hurricane Fly to win the Stan James Champion Hurdle at the Cheltenham Festival and regained the hurdling crown with the same horse in 2013. He was leading trainer with five victories at the 2013 Cheltenham Festival, where he has been successful 29 times – the best record of any Irish trainer ever after overtaking Tom Dreaper’s 26 wins. 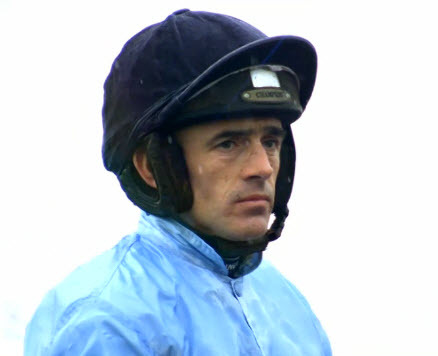 Ruby (Rupert) Walsh rides for the champion stables of Paul Nicholls in Britain and Willie Mullins in Ireland and – along with Tony McCoy – leads the current generation of jump jockeys. Born May 14, 1979, and based in County Kildare, Ireland , he is the son of 11 -times Irish amateur champion jockey, Ted Walsh, now a trainer and television pundit. 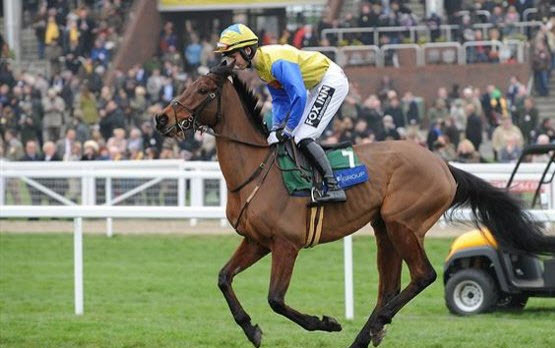 Ruby is the second of Walsh’s four children and his younger sister Katie is a successful amateur who had two wins at the 2010 Cheltenham Festival. His sister Jennifer acts as Ruby’s agent. Ruby had his first success under Rules aboard Siren Song at Gowran Park on July 25, 1995, and followed in his father’s footsteps when capturing the Irish amateurs’ championship at the age of 19 while still studying for his Leaving Certificate. He was champion Irish National Hunt jockey in his first season as a professional (1998/99) and has taken the title a further seven times (2000/2001, 2004/05, 2005/06, 2006/07, 2007/08, 2008/09 and 2009/10). Walsh has won the John Smith’s Grand National twice on Papillon (2000) and Hedgehunter (2005). He is the most successful jockey of all time at the Cheltenham Festival with 38 victories and has been the Thomas Pink leading rider at The Festival seven times (2004, 2006, 2008, 2009, 2010, 2011 & 2013). His Cheltenham victories include the 2007 and 2009 Betfred Cheltenham Gold Cup with Kauto Star, three Sportingbet Queen Mother Champion Chases (2004 Azertyuiop, 2008 and 2009 Master Minded), two Stan James Champion Hurdle (2011 &2013 Hurricane Fly) and four Ladbrokes World Hurdles (2009, 2010, 2011 and 2012 Big Buck’s). I’m indebted, as ever, to my friends at Racenews for sending me this comprehensive round-up of festival statistics on trainers, jockeys and owners for the 2013 festival. It might prove useful to stats fans and festival fiends. Geoff Banks, son of John, a bookmaker way ahead of his time, writes of his festival experience and his frustrations with the industry. Bankers. We used to count the banker material in the car with my Dad on the way to Cheltenham. It was our benchmark to success at the meeting. And that was the word – success, because losing at the Festival was a non runner for Bookies like John Banks. The environment has changed. I don’t use betting exchanges to price up my book, I value opinion over trading between Bots and the numpties. I’m very much in the minority. Modern day Bookmakers can’t see past exchanges, trading every penny they take, offering poor service to the customer, which starts with uniformity of odds. We have Rob Hughes to thank, the casting-vote chairman of the Levy Board. He introduced exchanges to betting rings – now decimated. Bookies have become their own worst enemy. Me? I expect to win by taking the aggressive line. No, I didn’t offer ten pound bets on Sprinter Sacre at Evens, but then I’m not running a casino. I don’t study a yard of form pre-festival. It clouds my plans. If I spent all night studying form, I’d surely end up with the same book of hotpots as the punters do. Dynaste, Quevega, Hurricane Fly, Bobs Worth and Simonsig. My job is to get them beat. Tuesday rolls in, starting well for the Books, with the hard pulling My Tent Or Yours looking assured of victory, outbattled by Champagne Fever. Last year we started poorly and never looked back. This year was more muddled. Wins for Simonsig, Hurricane Fly and Quevega placed the straight bat layers on a sticky wicket. We lost. Plenty. The bright spot? Handicaps. Result after result all week stunned punters. Wednesday, a gloomy bunch of Bookies snatched defeat from the jaws of victory in the first, with Back In Front rallying. Groans and queues around the Centaur for payouts. 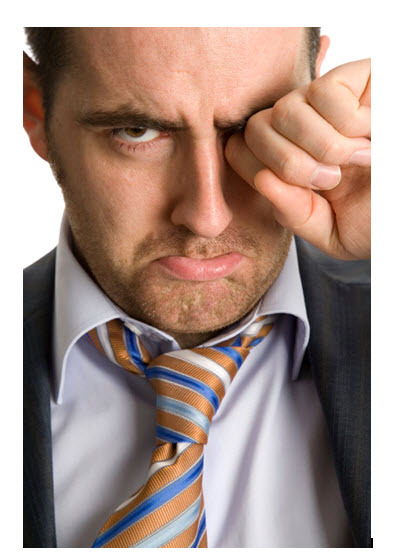 I employ 3 people to just pay out the cash, which by nature is more time consuming than accepting a bet – it wasn’t enough! ‘Don’t ask’, says my senior trader, ‘we’re behind the sofa in here’. Talking-horse, not wonder-horse. And it kicks off panic with the punters. They barely scrape a return in another race for two days. Who cares about Sprinter Sacre? Not the Bookies – they ignore him. Ooh aaah, well done, move on. Round after round to the Bookies continued through Thursday. Had you asked me to write down my own set of results, I couldn’t have penned a better set. It was almost embarrassing. Thursday night we celebrated, care of the Richard Power firm in Cheltenham. Smiles all round and stories of derring do and how what looked on paper a punters’ festival, had turned so much our way. We were well in front. Friday. Hmmm. I remember thinking I would coast round, secure that even if the results were similar to Tuesday, we couldn’t finish behind now. That’s not to say I intended backing off and hogging the pot. Oh No! not my way at all. I’m too daft to do that. Punters on the ropes and down… I was going to put my heel gently on their necks. Hard to remember a plan proven more wrong, as result after calamitous result ensued. The worst of which for me was Salsify in the Foxhunters. Backed in from 9/2 long term to 2/1. It was a catastrophe. I was stunned by the manner of his victory, speechless at the turn of events, and the volley of noise in the Centaur was unbelievable! It didn’t surprise me to watch McCoy boot the last favourite home. I was numb. The punters deserved their day. How much did the Festival cost the firms? Well, we lost double on Friday what we’d reaped on Wednesday and Thursday. Those are traditionally quieter betting days. I’m not crying, I have a track record of winning long term. Overall, the Cheltenham bash cost the Bookies big time. More with the large offshore concerns, who outdid each other with one moronic offer after another. These days they seem to treat the whole event as an opportunity to pad their online products with lovely names and addresses. And the dimmies queue up to sign up as if it’s Christmas. Is that a fair comment? I believe so, because every tenner laid at evens on Sprinter Sacre usually gets ploughed into something else. I mean who deposits a tenner and goes through the rigmarole of withdrawing it the next day? It’s ploughed into some other product and Bobs Worth’s your uncle. Whilst everyone from the BHA downward is clapping themselves on the back at producing another showcase event – and it was, I offer a word of caution. I listened to the great Micky Fitzgerald on the excellent Morning Line, a show I’ve been lucky to participate in, eulogising about his former boss producing the horse in tip top condition to wrest the big prize of the Gold Cup. And I congratulate my friend Nicky for his skills. However, the last time I saw the great Bobs in action was November. He wasn’t the only one of course. A number of top jumping stars rested from December onwards. Fine, the weather was poor in January, but there were still opportunities to be had, rejected by stable stars with owners rich enough to take the gamble and lie low for months. In the meantimeTV viewers , and, worse, attendees on course endured uncompetitive events and ‘match races’ for months. There have been 23 grade one events this season. 16 won by the favourite, and 6 by the second favourites. That highlights the predictable nature of jump racing these days, and hardly pads the Levy. It’s not good enough in my view. I don’t care who wins the Gold Cup, it’s a great institution, and whatever lifts the little cup, Dessie or Nortons Coin, is going to be big news. Micky Fitz was right to congratulate the great one, but he forgets the intervening months have become drab and boring. Might I remind those looking in that Desert Orchid ran 8 or 9 times a year. He was an athlete and so are today’s horses. It disproves the current lame excuse given for horses languishing in their boxes, that they’re not ‘capable’ of winning top races if they run in February. And if you’re Newbury or Kempton? You’re doing the industry no favours by permitting quiet gallops for top stars after racing. Ask Fontwell who provided 50 grand for a five-runner race how they felt at the lack of ambition? Where was the inventiveness of connections then? Small fields for Championship races at the Festival? An alarming development for Racing. As for Quevega? Group class in a seller. It just leaves me cold. There’s only one horse who cannot be bested these days. One. Before any talk of racing, my thoughts, like yours, are with JT McNamara and family. 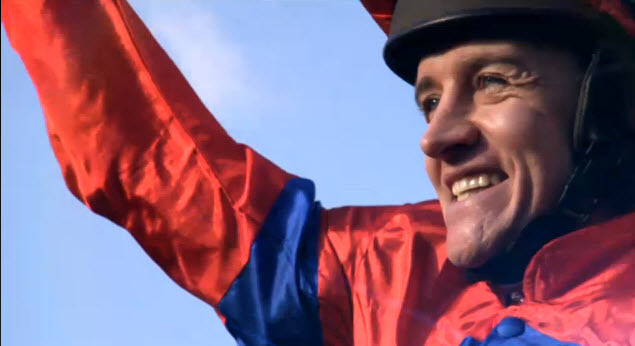 The 37-year-old Irish amateur jockey was injured in a fall from his horse Galaxy Rock today. The latest news is that he is in an ‘induced coma’ in Frenchay Hospital, Bristol. Never do we feel more like a band of brothers than at the festival – all of us, punters, owners, trainers, jockeys, grooms, valets, media people, everybody who loves racing. 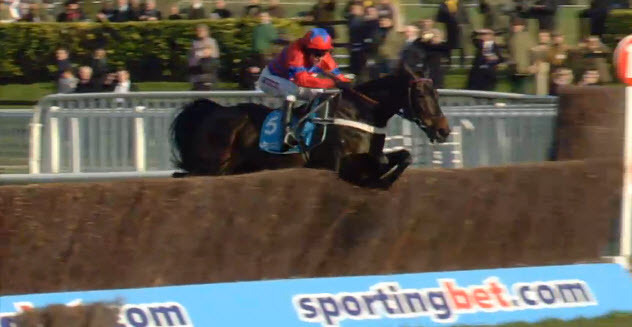 We know how everyone else feels in this sport – we all get the same heartlift from Sprinter Sacre and we all get the awful stomach lurch when we hear of a bad fall. First thoughts are with the jockey, then the horse. And we lost a decent one today in Matuhi. He was no superstar, but a fair handicapper and was still in with a chance when coming down heavily at the last. Whatever his rating, there is still an empty box in the Pipe yard tonight, and much sadness among connections. Davy Russell too was taken to hospital with a ‘spontaneous punctured lung.’ It’s a hard game sometimes. On to the racing and betting side . . . in all the years I’ve watched the festival I’ve tried to learn from my betting mistakes. One of those was spending hours trying to solve handicaps. I gave it up about ten years ago to concentrate on the graded races and have never had cause for regret. Some punters relish the challenge of finding a big handicap winner but for me it’s a time sink. It’s demoralising. It’s close to pointless. Now, I’ll pick out two or three that appeal at first glance and have a fiver each on them. This ‘system’ has worked better for me than sweating over weights and plots and trying to read the minds of the Tony Martins and Gordon Eliotts. I smile now when I hear trainer after trainer say, “This has been the target all season.” That sounds impressive. Trouble is the target is a small red and white disc at the top of a hill and everybody is aiming a half ton horse at it. Only one will hit the bullseye. Anyway, I hope you’ve found a winner or two and maybe even backed a couple of the right ones (plenty wrong ‘uns!) from my pre-festival post. Today was one of mixed feelings and results for me. Blog followers will know I’ve always thought the world of Cue Card and, apart from winning a few quid, I was delighted for the horse and for Joe Tizzard especially, who has taken some outrageous flak from ‘riders in the stand’. As his father said, Joe has made Cue Card; the horse is a bit quirky in manner and has an unusual way of getting from one side of a fence to the other, which JT understands perfectly. If he sees a clean stride, he asks him up, if not he lets the horse pop in that curious cat-backed style which I don’t think I’ve seen in any other top-notch horse. By the way, credit to the Racing Post summarisers: I criticised them after Ascot when they said they thought Cue Card would have been beaten by Captain Chris had that horse not blundered (one of the silliest pieces of professional race-reading I’ve come across), and stated in today’s post-race summary that they’d been wrong. His win helped take the edge off my disappointment with the earlier Tizzard runner, Third Intention, who never really got his jumping together. I remain convinced there’s a decent race in him and I will follow him over the proverbial cliff. Another serious and costly let-down was Oscar Whisky. I knew after two flights he’d be winning nothing. The two things he normally does supremely well – jumps and travels – evaporated quickly today and B Geraghty rightly pulled him up. I hear that his owner’s heat-of-the-moment declaration was that he’d never go three miles again – understandable in the immediate aftermath, but I hope he will reconsider as the horse was simply amiss. Perhaps he left this race in the mud of the Cleeve Hurdle and doubtless NJH will regret the fact the horse had a tough race there. Sam Winner gave me another jolt: like OW, he was never travelling or jumping. At least punters knew their fate early. And, I could be feeling worse: I could be the guy who decided that opening a new Paddy Power phone account qualified you to have £50 on Cue Card at 8/1, stake back as a free bet of he lost. Some of these offers from the big bookies are eye-popping. Let’s get the nap of the day done first. I’ll be most surprised and quite a bit poorer if Bobs Worth doesn’t win the Gold Cup. I think he’s almost as good a bet as Cue Card was. I’d feared Silviniaco Conti, but the Nicholls yard seems to be very much in and out, and winnerless so far, with some fancied horses running very badly. Reflecting on Mail de Bievre’s Champion Chase performance, I’m beginning to wonder if the Newbury race 33 days ago, where he led Silv Conti and The Giant Bolster a merry dance, was another attritional contest which might have taken more out of the principals than you’d want coming into the Gold Cup. It made me wonder if Bobs Worth’s supposed stat bullet of this 104 day layoff might not turn out an advantage. Cue Card franked Bobs Worth form today, from last season. 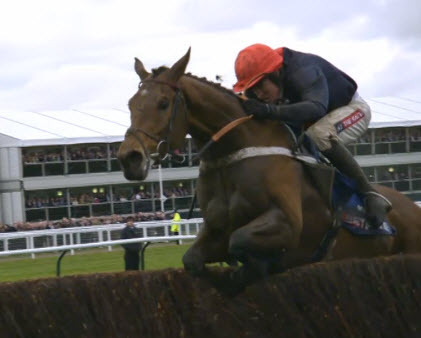 Bobs Worth is unbeaten in 4 runs at Cheltenham, two of those being festival victories – and these first three days have shown yet again how reliable past festival winning form is. BW is still young and improving with this being only his 6th outing over fences. I’m confident Nicky Henderson (I’d forgive that man anything when I see how stressed and emotional he gets watching his horses) will have him spot-on. Bobs Worth’s two runs before his RSA win last season could be crabbed, but Mr Henderson said he’d never been happy with the horse throughout that crucial mid-part of the campaign (Bobs Worth had undergone a breathing op). Take those runs out and BW’s form looks gold-plated. He’s an economical jumper and traveller, so much more important, imo, than the flashy travellers like Dynaste , My Tent or Yours etc., and he stays well. I’m very confident he’ll win. If he doesn’t I will crawl under the bed like that kid used to do in the adverts when he’d let in a dozen goals. Hisaabaat was 2nd in the Triumph last year and is a dual Grade One winner. The very talented claimer Micheal Nolan rides, and good claimers are increasingly being used very effectively in big handicaps. In the hope that P Nicholls unfancied runners will continue running better than his shorter-priced ones, I’ll take Aaim to Prosper at around 20/1. 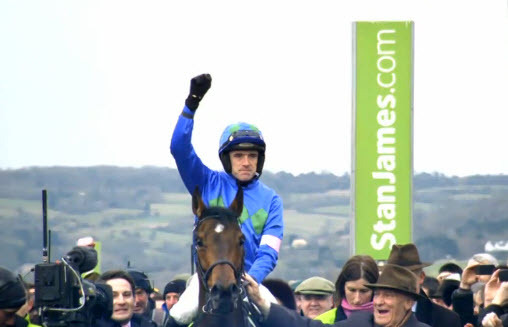 I like At Fisher’s Cross (especially as he beat the apple of my other eye (Cue Card’s my right eye! ), The New One. But he’s had a couple of very hard races and is too short a price to risk. I thought Bourne very unlucky last time and believe there’s a nice race in him. The hill should suit and he’s value at 16s. As I write, you can bet Third Intention on Betfair at 32 for tomorrow’s Jewson Chase (1.30). I think he should be a third of that price at best and strongly recommend a bet. You should also back him for a place at around 5.8. The best fixed odds price I can find is 22/1 with Sportingbet. Captain Conan is third favourite here and I think Third Intention would have beaten him last time at Sandown had he not idled halfway up the run-in (CC won by a neck). I’ve always thought there was a decent race in TI and tomorrow might be it. I backed him last year in The Coral Cup where he finished 8th of 28 under 11st 10lbs. He likes Cheltenham, the ground will be fine, the yard is in form (28/1 winner yesterday) and he is simply too big a price to miss.